In Friday’s post, I noted in passing the recent revelation that only about 50% of night raids had accurate targeting. A new report (pdf) released today by the Open Society Foundations and The Liaison Office informs us that targeting for night raids in Afghanistan is now about 80% accurate, but because the rate of raids has increased more than five-fold, the number of innocent civilians detained in the night raids continues to go up. As one might expect, the backlash from these improper detentions is significant and likely contributes to the increased rate of insurgent attacks. 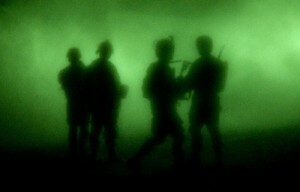 Ten years after the invasion of Afghanistan, security is at its worst level since the fall of the Taliban. U.S. and NATO forces argue that night raids are their best tool against insurgents, but a new report by the Open Society Foundations and The Liaison Office finds that the cost of the raids outweighs the benefits. An estimated 12 to 20 night raids now occur per night, resulting in thousands of detentions per year, many of whom are non-combatants. Mass detention operations, holding entire villages for questioning on site for prolonged periods of time, may violate international prohibitions against indiscriminate detention, the report found. Civilians feel caught between the warring parties, and often blame international forces. As one man from Nangarhar, interviewed in the report said, “They claim to be against terrorists, but what they are doing is terrorism. It spreads terror. It creates more violence.” Weak accountability mechanisms where civilian casualties and mistaken detention occur and a failure to explore alternatives to night raids further increase anger over the raids. Moving to the report itself, we find in the Executive Summary that the estimate of 20 raids per night applies to the period of December 2010 to February 2011. The rate likely has continued to increase, as they received one report that there may have been as many as 40 raids per night in April 2011. However, many of these improvements have been undermined or overshadowed by the surge in night raids. Although intelligence improvements have reduced mistaken night raids on civilian homes, the increased number and scope of night raids put many more civilians at risk than past intelligence flaws ever did. Many more activities may lead individuals to be detained in night raids, including the provision of food or shelter (under duress or not). In many cases, non-combatants appear to be subjected to night raids due to their proximity to insurgent activities, or incidental information about insurgent groups, rather than due to their actual conduct or status. As a result, far more non-combatants are detained in a year. Though the majority of non-combatants are soon released, the experience may result in lasting physical, financial, and emotional harm. International military typically release individuals by first handing them over to Afghan custody, where they can suffer poor conditions or even abuse rising to the level of torture. And note that last sentence in the quoted passage: wrongly detained civilians are released to Afghan custody where they can be subjected to torture. That seems like a recipe for ensuring a healthy insurgency: detain innocent civilians under false pretenses and then subject them to torture before they are released to return home. In addition to the above DPH concerns, large-scale detention or clearing operations raise further concerns about arbitrary detention. Individuals may be detained incidentally as part of a broader operation, often as a matter of military necessity. But operations that deliberately target and round up civilians not themselves suspected of DPH or being security threats, but only in order to subject them to interrogation and screening may constitute an arbitrary deprivation of liberty and constitute inhumane treatment in violation of Common Article 3 to the four Geneva Conventions. Under international law, detentions must be made on an individualized basis and may not be imposed as collective punishment or based on arbitrary or discriminatory grounds. Detaining civilians simply because they live in a particular area or are of a certain age, gender, nationality, or ethnicity may be arbitrary or even discriminatory detention in violation of Common Article 3, which expressly requires humane treatment of civilians without any “adverse distinction” including difference of treatment based on race, religion, birth, or other similar criteria. So, despite the fact that security in Afghanistan is at its worst level ever, foreign forces in Afghanistan continue to insist that night raids are their best tool for achieving security. They provide no justification for this claim even when significant data exist to suggest the raids themselves provide significant enthusiasm for the insurgency. The US has invested trillions of dollars, thousands of lives and ten years in this effort that is no closer to success today than on the day we invaded Afghanistan. “but only in order to subject them to interrogation” You mean that didn’t buy the Cheney/Addington ehancement of the Pottery Barn Doctrine? The Mosaic theory (i.e., if you broke it, you may as well stomp on and beat the pieces into pieces that could never be reassembled into a coherent whole, but can be used to create whatever picture you want to sell). Their approach permanently cripples any ability to establish the rule of law as well (and thereby drives those in villages to institutions that can and do establish law). When you have impunity for not just secret police but for openly operating military (supposedly operating as Afghan govt military adjuncts, not an occupying force) to engage in domestic attainders, you very simply can not establish law. It’s the picture of lawlessness – a military that is not subject to civilian authority. And its’ not just the detainees – it’s all the children and the non-detained in the communities, watching the contempt with which they are treated by a foreign military, operating in their country with impunity. And the communities aren’t “just” the Afghan villages – with tribal and religious affiliations, the communities impacted are much larger. It’s all a heartbreak. And one that supporting Obama and Democrats only increases. But on the bright side, DiFi’s family is doing just fine. Yes, these are practices that are in effect recruiting for the resistance, which is what the US did in “liberated” Iraq thus causing the “insurgency” to go on and on. It seems counter-intuitive until you factor in the increased profits from more war. US-fomented instability, that’s the ticket, not only in Afghanistan but in several other countries, Libya being the most recent example. Under the earlier system, at 50% accuracy that would mean for 100 detainees, 50 were wrongfully detained. Under the new system, for each 100 detainees, only 20 were wrongfully detained. However, the new system sees 5 times more detainees in any given time period. So, in the time 100 were detained in the old system, 500 were detained in the new one, with a full 100 of those wrongfully detained. That means that about twice as many innocents are now detained over a given amount of time. @Jim White: It’s the New Math! The metrics our government is using to define “success” are at best described as oxymoronic. @MadDog: Yup, unless success is defined in terms of profits for war racketeers, then it’s wildly successful. “Ensuring a healthy insurgency” is precisely the point of the exercise. Without it, there is no reason to remain in A-stan (or any other theater of supposed counterinsurgency), from which follows both reduced promotion and ego-enhancement opportunities and reduced budgets. “Always act in such a way as to ensure the continued existence and, if possible, enhancement of your job.” is the operative principle here, as it has been throughout the supposed wah on terra. @Bill Michtom: Thanks for that link, it’s a good one. The UN Assistance Mission in Afghanistan is said to be releasing a report on torture in Afghanistan prisons some time soon. The primary practices are long existing and long described: beatings with cables and rods, electrocutions, sexual assault, etc. a) This large ramp up in JSOC night raids. b) The quick and chaotic ramp up in numbers of the various Afghan security forces, with the associated problems of vetting and accountability and training and corruption and factionalism and such. @Garrett: That makes a lot of sense, thanks. @Garrett: Either Jim or I will be posting on the big expansion to the Parwan prison–2000 new beds, it looks like.